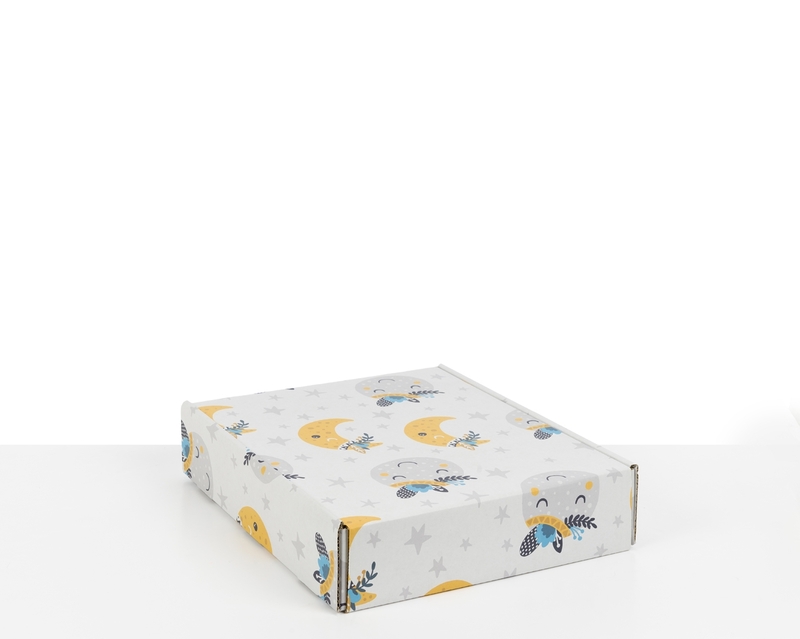 A lullaby in a box: our SmilePrint kids moons pattern is decorated with a cute half-moon and sleeping full-moon with Indian feather headdresses. Perfect to excite little adventurers! 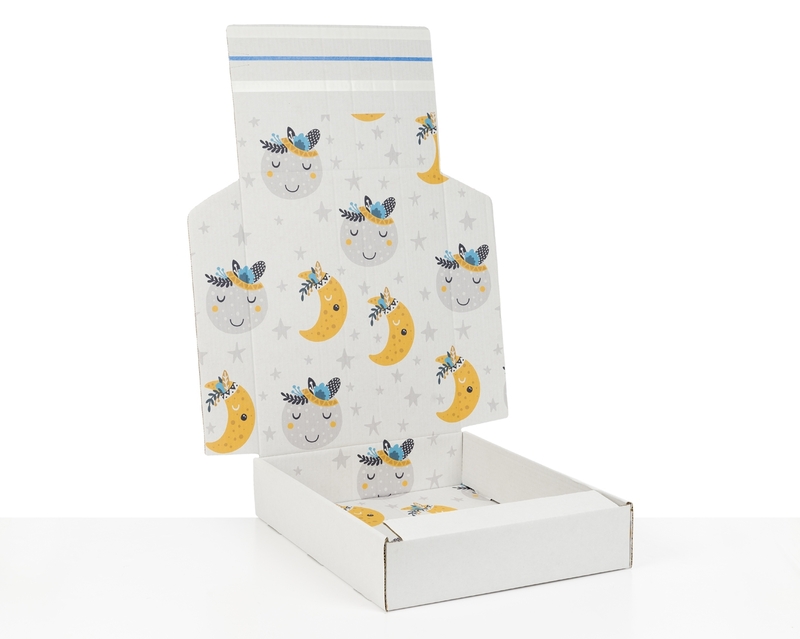 We recommend this modern packaging design especially for baby and toddler products. 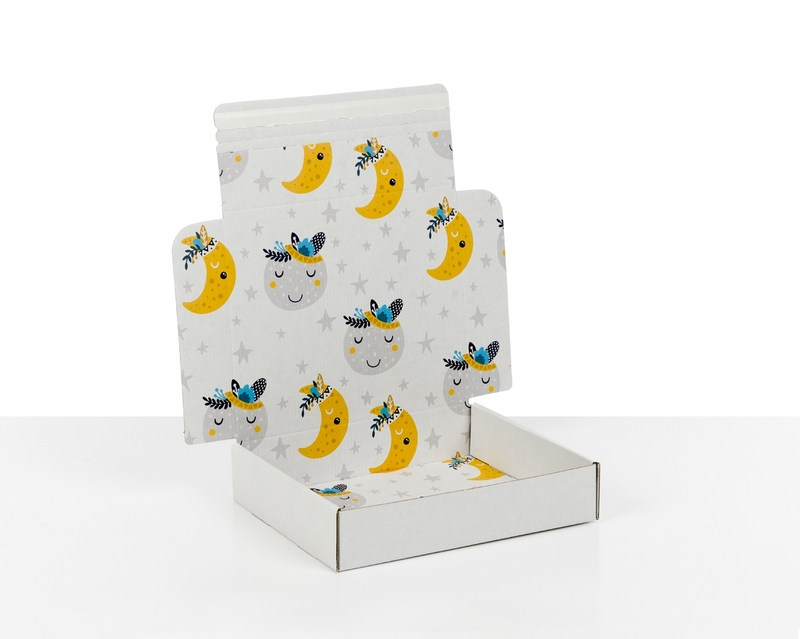 Looking to upgrade your packaging for your e-commerce of kids’ products but in small quantities? 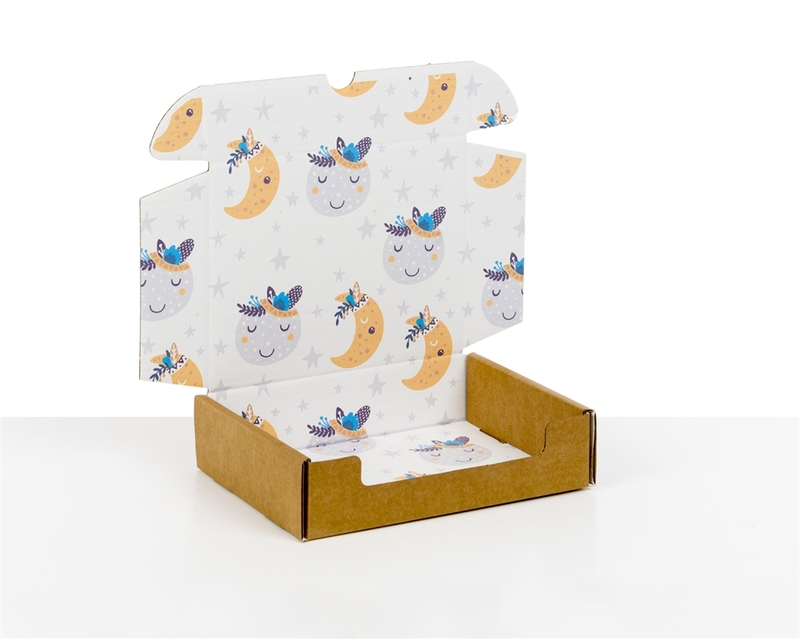 It’s easy with our Kids Moons SmilePrint, the perfect postal boxes with kid-friendly designs. 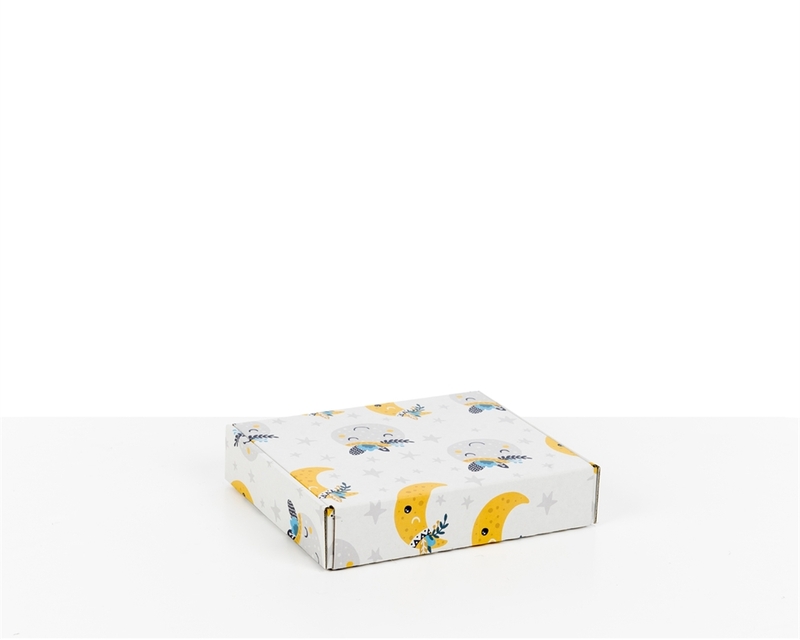 Give your customers the option to order your products as a gift and elevate the unboxing experience. 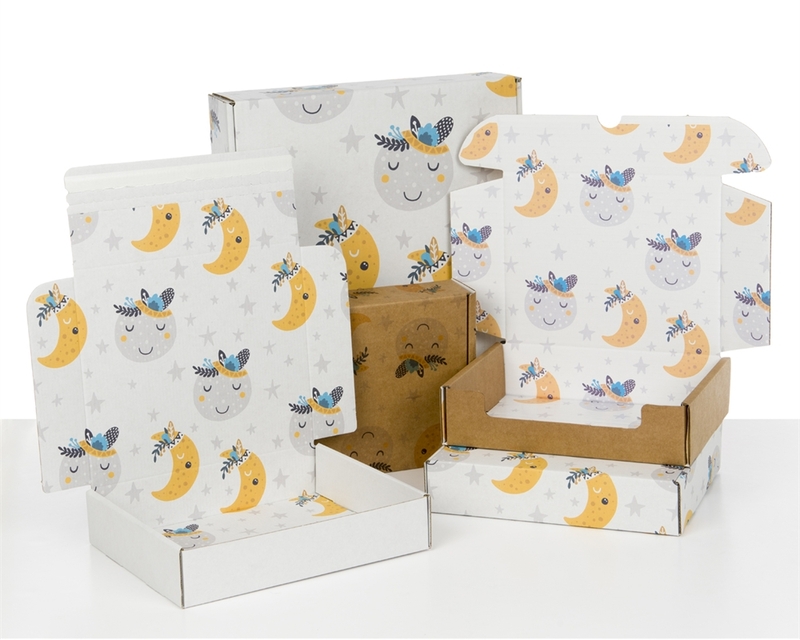 With our DS Smith SmilePrint boxes, you can get the ideal cardboard boxes for your e-commerce when you order 100 units or more.